Last week’s photo challenge took “06880” readers out of Saugatuck. All the way to Easton. That’s where the “Arrow” sign — an iconic symbol of the much-loved Nistico family restaurant, which began at the arrow-shaped corner of Franklin Street and Saugatuck Avenue, before moving around the corner for a long run — is today. It hangs in Greiser’s, the deli/antiques/general (and really only) store in that nearby town. After the Arrow closed — becoming first Jasmine, then the Blu Parrot, and opening soon as Mystic Market — the sign could be found at the Red Barn, the Nisticos’ other beloved restaurant. 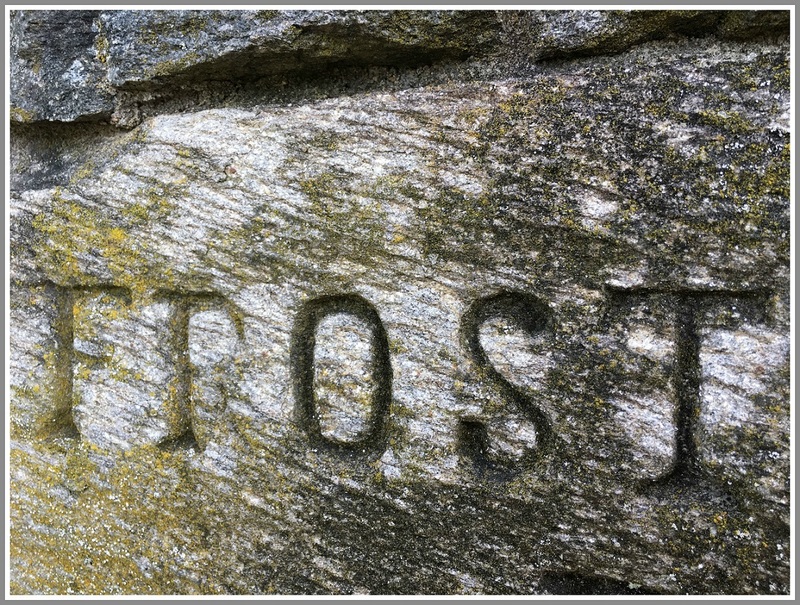 If you know where in Westport you’d find this — when it’s not covered in snow — click “Comments” below. Have You Seen The Rotary Club Sign? For as long as the Red Barn has been on Wilton Road — maybe longer — a sign for the Rotary Club of Westport stood on the side of the road. Made of handsome cast iron, with a blue background, it noted when and where the club met. Rick Benson — longtime Rotary member, and the guy you call on whenever something needs doing — had the chains replaced in 1994, and the sign repainted. The club is ready to put up new signs at 7 prominent gateways to Westport. One will be at the (former) Red Barn site. Much to their surprise, members discovered recently that the old sign is gone. 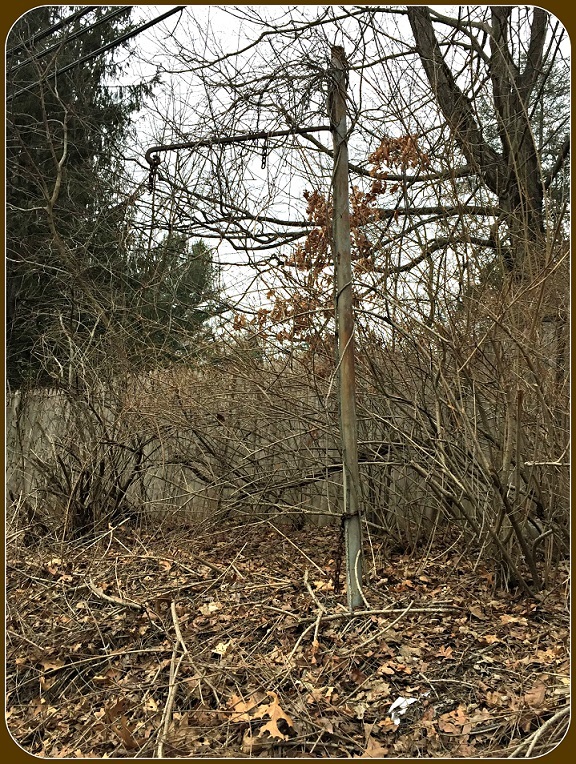 All that’s left is a vine-encrusted metal post. Rick canvassed club members. He called a few folks who might have picked it up for themselves. He checked with the Westport Historical Society. Because he’s that kind of guy, he even had the area scanned with a metal detector. The missing sign, on Wilton Road. So he’s asking “06880” for help. If you — or anyone you know — has intel on the whereabouts of the Rotary Club’s old sign, email Rick: ben3rb@aol.com. Or — for complete confidentiality — contact “06880” (dwoog@optonline.net). I’ll get the sign back to Rick, no questions asked. 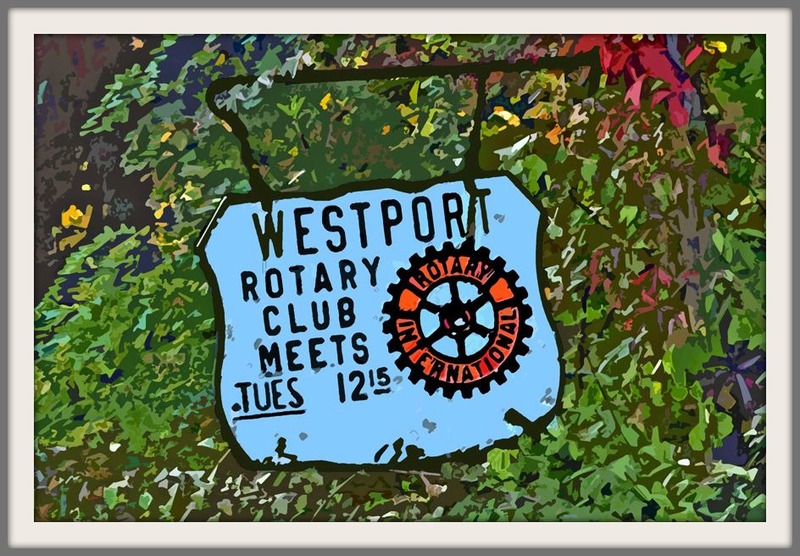 FUN FACT: The Westport Rotary Club turns 100 on March 7, 2024. That makes it more than a decade older than the Merritt Parkway, whose Exit 41 is near the old (and new) sign. 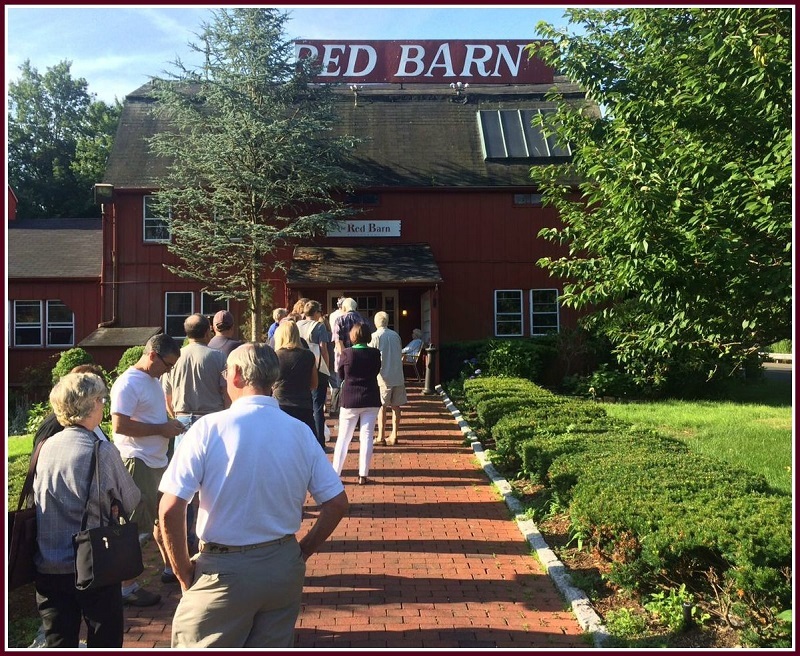 Confirming a rumor that has circulated for months, the Westport Weston Family Y announced this morning that they have purchased the Red Barn property. Early this afternoon, she said that the sale became official late Friday afternoon. She added that the purchase agreement pre-dated her arrival as CEO. She assumed that role on June 8. The landmark Wilton Road site abuts the Y’s new Mahackeno campus. The 3.2 acre parcel purchased by the Y includes the restaurant building and a separate house. It was owned by members of the Nistico family, who operated the Red Barn Restaurant from 1983 until July 2015. 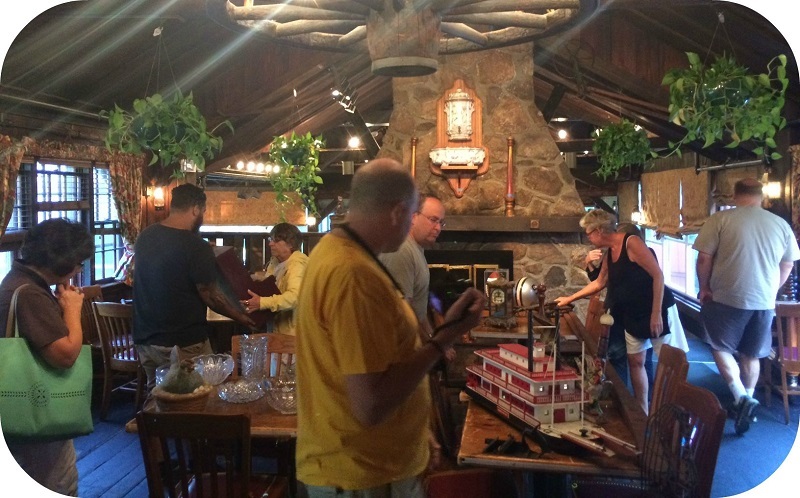 Lining up for a sale of Red Barn items and artifacts, last June. “This is a unique opportunity for our YMCA — a long-term investment that allows us to preserve neighborhood values and, ultimately, utilize the property for the benefit of our members and the community we have served since 1923,” said Y CEO Pat Riemersma. The volunteer leaders who govern the Family YMCA, a charitable nonprofit organization, are in the process of developing a plan that will provide guidance as to the future use of the property. The Y has established a Limited Liability Company, known as 290 Wilton Road LLC, as part of the transaction. 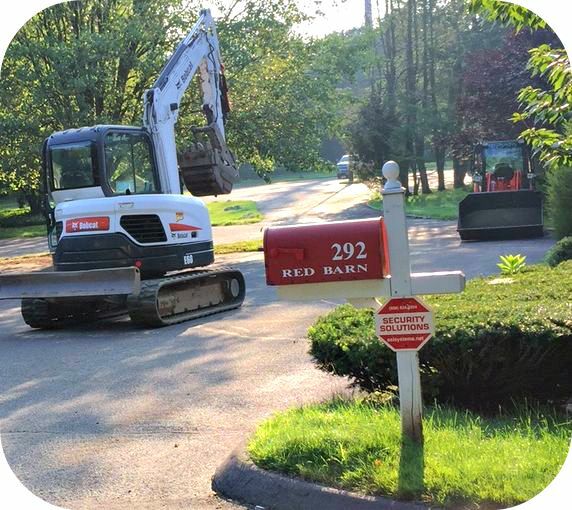 Unsubstantiated rumors over the past many months have offered many potential reasons for the Y’s purchase of the property, including additional parking, use for its preschool, and to tie its septic system in with the Red Barn sewer line. The Red Barn closed earlier this month. A liquidation sale followed quickly. Things seem to be happening quickly on Wilton Road. 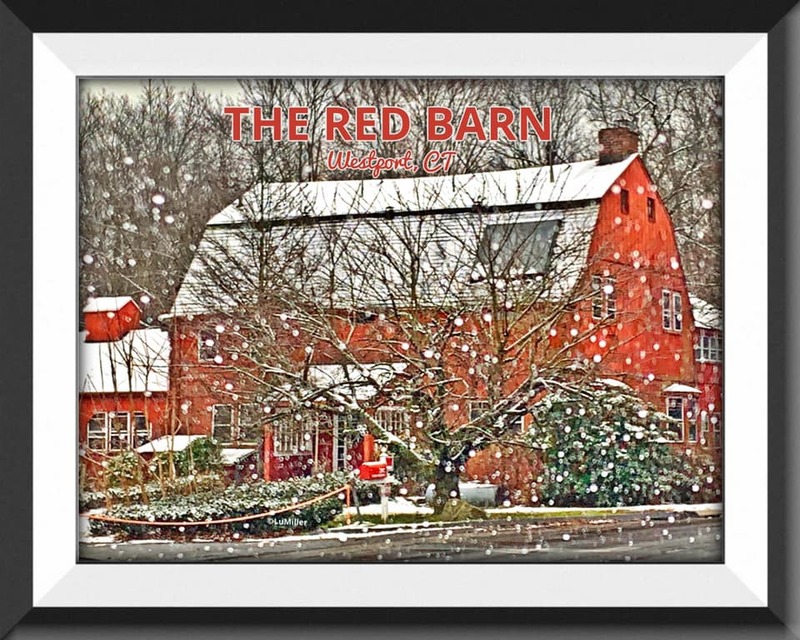 …at the Red Barn restaurant. 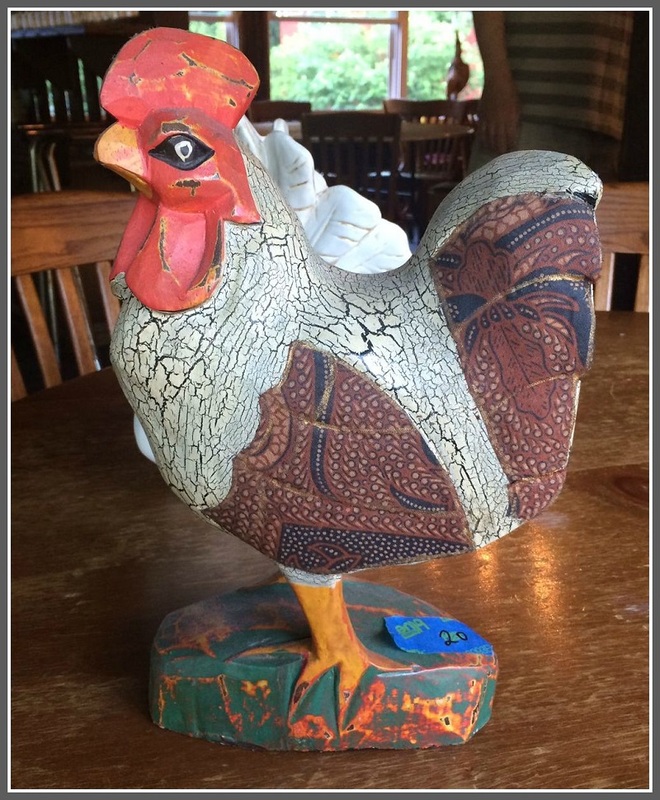 They were lured by the chance to pick up a souvenir — or something practical — from the restaurant that for generations lured Westporters and Merritt Parkway motorists. Looking for anything at the Red Barn. Kitchen equipment was not — as had been promised — up for sale. But nearly everything else was. No word on whether this guy is still up for grabs. 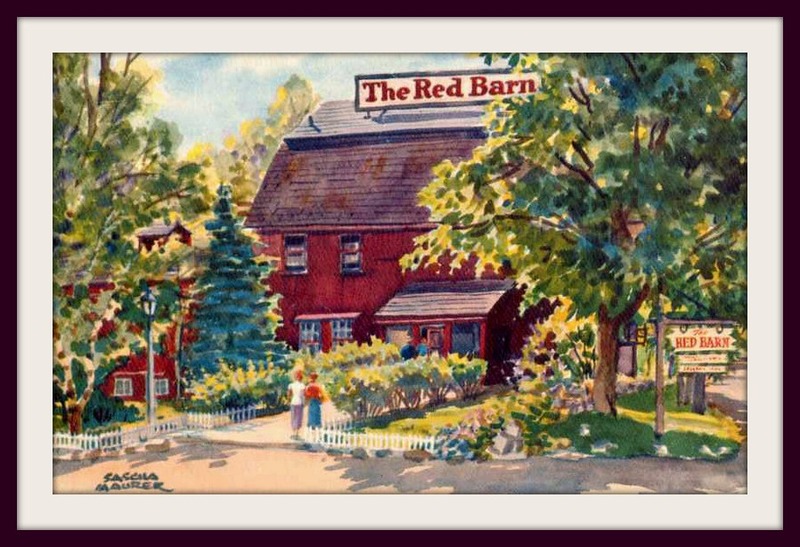 Last week — based on a phone call to the Red Barn — I reported that the rumors of the restaurant’s closing were wrong. I said — based on what I’d been told — that the kitchen was being revamped. New ovens and a natural gas hookup were on the way. Re-opening was set for today (Wednesday, July 8). A number of readers suggested — publicly and privately — that I was wrong. A woman said that one of the owners called to tell her that her group’s annual luncheon — held every year in late July — would not happen, because the restaurant had been sold. A salesperson described going to the Red Barn at midday to pick up a check. No renovation work was underway. In fact, no one was there at all. I called this afternoon — the day I was told they’d reopen. The phone rang and rang and rang. Finally, I hung up. Just in case, I checked the website. But even more prominently, it still advertises its Mother’s Day specials. Meanwhile, the Westport Family Y — which everyone in Westport thinks has bought the property, though no real estate transaction has been filed — is not talking either. 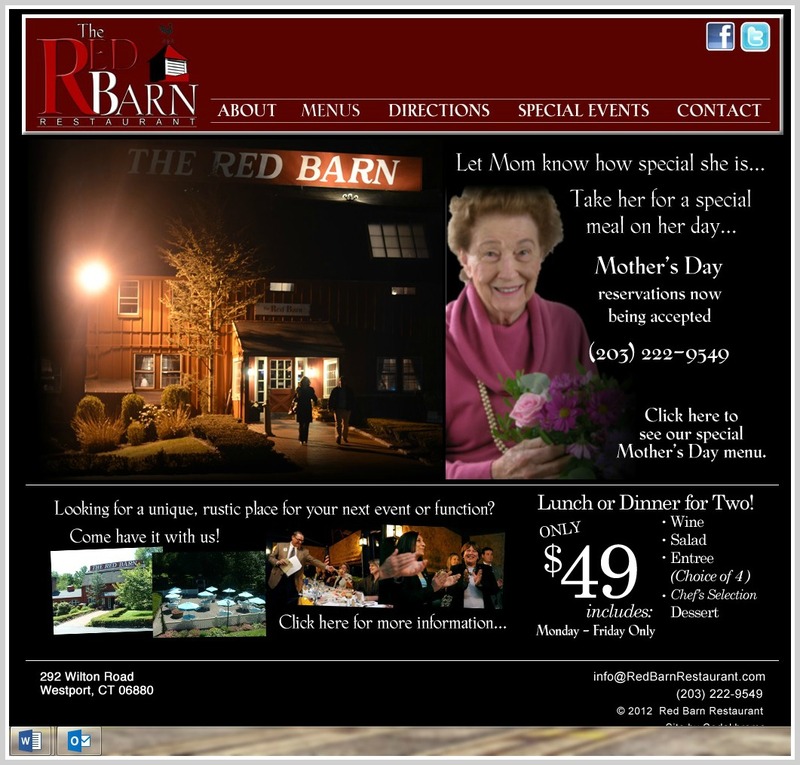 The out-of-date (and strangely dark) Red Barn website. 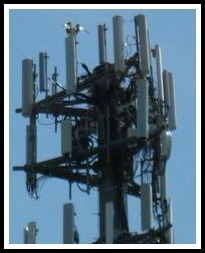 … atop the cell tower near Merritt Parkway Exit 41. This pair — you can see an adult in the photo above, on top of the middle antenna — has an eye for real estate. They’re close to the Y and the Red Barn. Not far from downtown. Plus they’ve found a great way to beat the Merritt and Wilton Road traffic. Couldn’t Make The Arrow Reunion? Last night’s Arrow Restaurant reunion was a sellout — and a smash. If you couldn’t make it to the Red Barn — a very appropriate, Nistico-owned place — here’s the next best thing.